If you read my blog at all on a regular basis you will see that we go on a lot of field trips. I think many people readily admit that field trips are great learning opportunities. 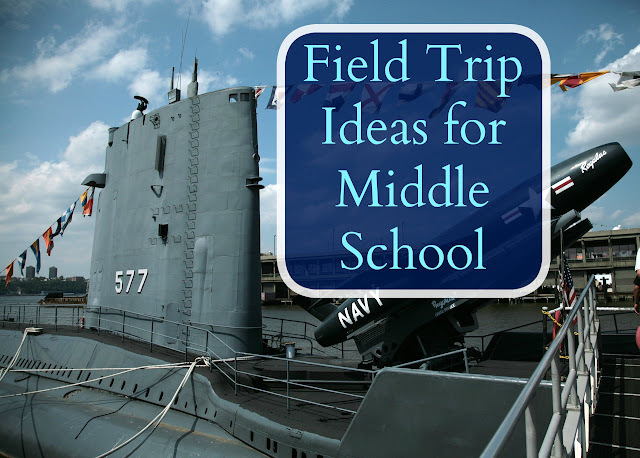 But it can be so easy to get bogged down in book work and forget about field trips. I found that this year we're struggling to find new places to visit, we're reluctant to take time away from our curriculum materials, and we're not doing as much life learning as we used to. 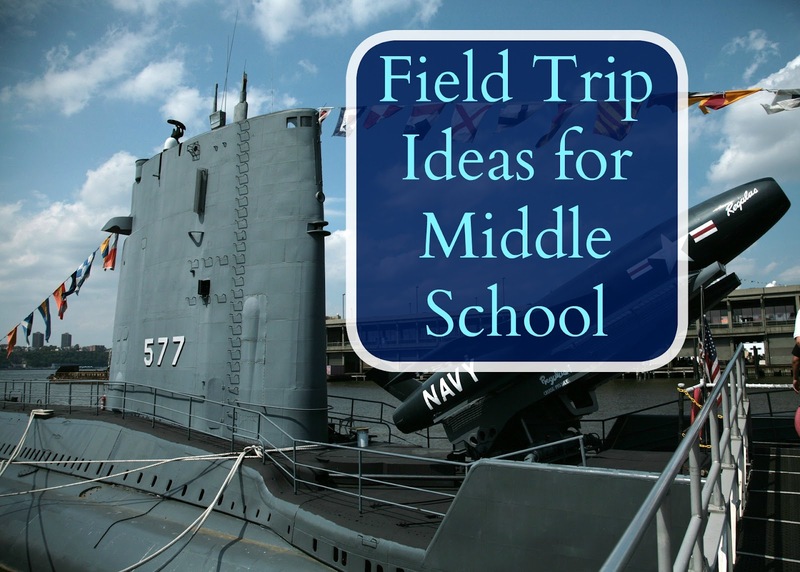 I am determined to keep exposing my boys to as many real life learning opportunities as I can and so I spent the weekend trying to come up with field trip ideas that were appropriate for middle school AND elementary school kids to enjoy together. 1. Art Museum-- I never took my kids to the art museum before because I felt they were too young to really enjoy it or behave properly. But now that they are older I'm looking forward to taking them to the art museum. I even planned a simple scavenger hunt activity for them. 2. History museums-- We have quite a few history museum near us and I find that these types of museums are perfect for all ages. We can tour submarines, warships, helicopters and tanks. 3. Science Museums an Nature Centers-- Many science museums are meant for guests of all ages and are great for middle school trips. 4. Natural History Museums-- A nice cross between nature centers and history museums most natural history museums have lots to see and learn about. 5. Other Historical Sites--- There are many historical sites around us that are not museums and they are often overlooked; by myself and others. But they would make excellent field trips none the less! 6. Zoos and Aquariums-- No matter what age my kids are they never seem to tire of zoo trips. I just find that as we visit them multiple times it's getting more and more challenging to find "new" zoos with new animals that we have not yet seen before. 8. For fun! There are many other places to visit that do not fit neatly into any of the above mentioned categories but they can be both fun and educational. We do not take nearly as many field trips as we should. It's hard with little ones! I bet it is! I can't even say it's easy with my kids; the whole let's pack lunches and head out early thing never seems to work out quite right and they're older! I need to remember to look for some factory tours. We haven't been on more than one that I can think of. I love your list. We love field trips.